The 2019 Honda CR-V has been rated among the safest vehicles on the road by the Insurance Institute for Highway Safety with top marks in every crashworthiness evaluation. The IIHS found that with the CR-V’s available suite of Honda Sensing active safety technologies, including automatic emergency braking, the CR-V earned the highest possible score of “Superior” in the front crash prevention test. Honda Sensing was featured in 81 percent of CR-V vehicles sold in the United States in 2018, as it is sold as standard equipment on all but the base model. The CR-V also earned the highest possible score of “Good” in every crash test the IIHS threw at it, including front driver-side and passenger-side crashes with small and moderate overlap, side crash tests and roof strength tests, and head restraint and seat tests. Related: How does the Honda CR-V compare to the Toyota RAV4? The only tests in which the 2019 Honda CR-V did not earn the best score were those evaluating headlight visibility and the ease of use of child seat anchors. It earned an “Acceptable” score in both of these categories, and the former only when equipped with LED headlights. Nonetheless, Honda expects a five-star overall vehicle score from the National Highway Traffic Safety Administration whenever the government gets around to testing the CR-V, and was deservedly happy to flout the success of its Honda Sensing system. 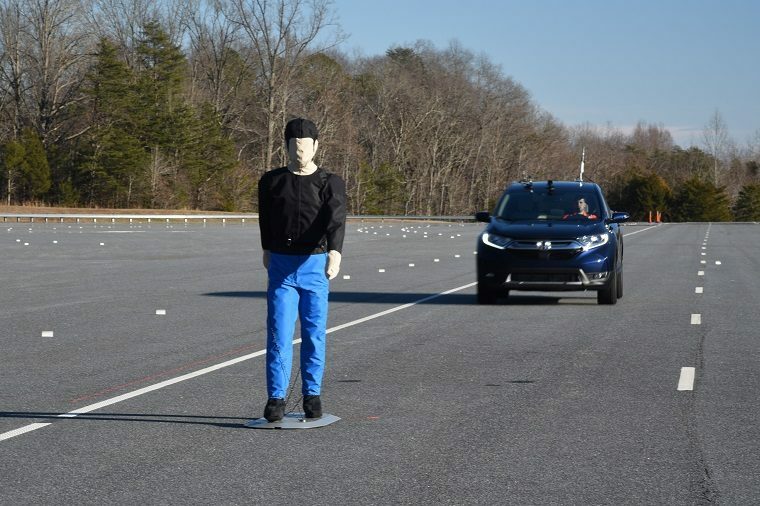 “IIHS’ pedestrian crash avoidance tests can be unnerving to watch, since they are set up to look like an impending collision with a pedestrian. The tests highlight the need to consider the safety of all road users when designing advanced safety systems like those included in Honda Sensing,” said Jay Joseph, assistant vice president of product planning for American Honda.